DORIS HOFFMEYER was born in Florence, South Carolina and has lived there all of her life. She has one brother and two sisteres, many nieces and nephews and great nieces and nephews. She has been instrumental in helping all of her relatives become interested in the great sport of bowling. Over the many years of her bowling career, Doris Hoffmeyer has promoted the joy of bowling to many bowlers on the local level. Doris began her bowling career 20+ years ago at All Star Lanes. She has bowled in National Tournaments, State and Local Tournaments, the Masters 225, Women’s Southeastern and the State 600 tournament. She began her administrative career on the Pee Dee WBA Board as a Director and has served as First Vice President and President. She is currently serving as a Director. Doris started her career on the South Carolina Women’s Bowling Association Board of Directors in 1979 as a Director and served in that capacity for six years. She was appointed SCWBA Treasurer in 1985 and has proudly served in this position since that time. According to the SCWBA Audit Committee, present and past, the financial records Doris keeps for the SCWBA are meticulous and detailed, and balanced to the nearest cent. Doris takes great pride in her work and devotes many hours to the duties required of the Treasurer. One of these duties involves keeping up-to-date minute budgets for all chairmen of committees dealing with finances. She keeps the President and Secretary aware of the Associations financial status at all times. After a recent audit, the IRS Auditor stated the Association’s books were the most precise set she had ever audited and everything she asked for was promptly provided in detail. this is only one example of the manner in which Doris does the job entrusted to her. Aside from her duties as Treasurer, for many years, Doris has been on hand to help with the work needed in the SCWBA Tournament Office. No task has ever been too large or too small for her to tackle. Doris remembers her high game of 254 and two 600 series. Her highest average was 170. Doris has served the Pee Dee Association and the SCWBA well over the years. She has spent many hours working with the Youth Association in Pee Dee as a committee member and the Scholarship Fund Treasurer for nine (9) years. She has served on all local committees and state committees. She has always accepted and completed all duties assigned to her in an efficient manner. Doris is very conscientious and enjoys the sport of bowling in all aspects from rolling the ball to all phases of administrative work. 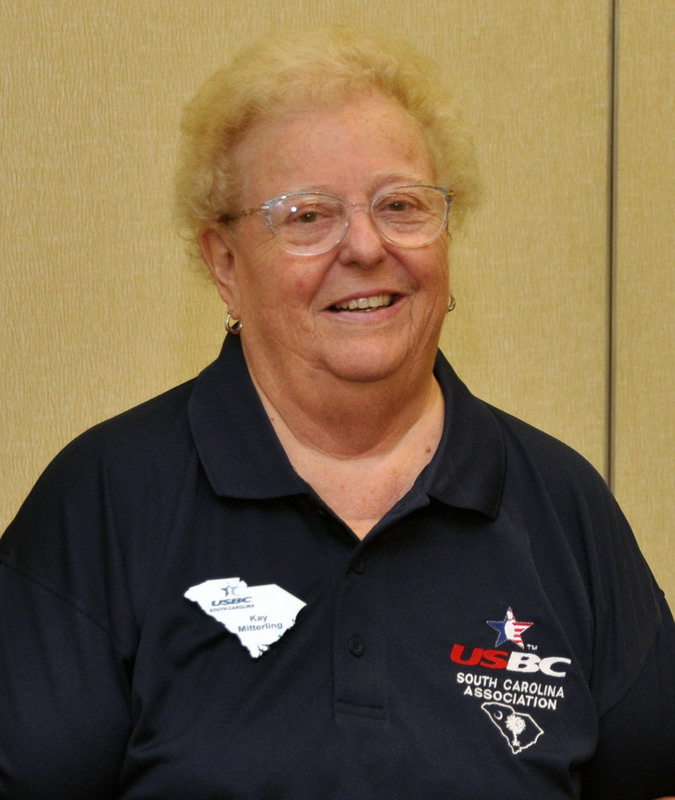 Doris was recently honored by being selected a Life Member of the Pee Dee WBA. DORIS HOFFMER is a most worthy addition to the SCWBA HALL OF FAME.